In my ongoing quest to look and sound more witty and urbane, I felt that I should, at least, try a gin and tonic - again. 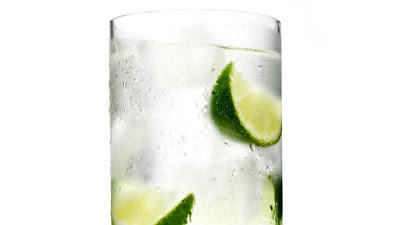 I had once bought a can of pre-mixed gin and tonic, took one sip of it, and spat it straight out again, pouring the rest down the kitchen sink. 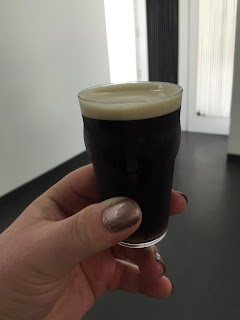 Willing to admit that may have been my fault, never having been one for anything that tastes remotely bitter, I have tried again but, as I write this, I am taking the smallest sips possible – why did anyone, apart from me, think this was a good idea? Almost the most British of cocktails, gin and tonic was borne out of necessity. When India was under British rule, it was necessary to down large quantities of quinine, at least eight times more than you now find in regular tonic water, in order to fend off malaria, although you are now more likely to use it to restless leg syndrome. 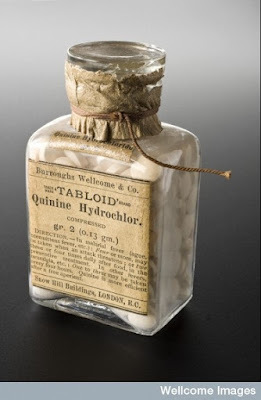 Therefore, to take away the taste of something that, to me, tries to remove all the moisture from the inside of your mouth, gin was added, from the ration already given to British officers in India, to make the concoction more palatable, or bearable. However, that does not explain why we drink it now – like so many things, like tea, silks, minerals, curry and chintz, the British took it home with them. Accidentally keeping in with this, had a chicken tikka masala for dinner before trying my G&T, although this is a British variant on an Indian tradition, and its being a microwave meal means it counts for nothing at all. Pressing on through more sips of the G&T, I realised I should try to drink it in the same manner I was advised to drink Guinness, having been on a tour of their factory in Dublin last year: apparently, you should draw a decent amount into your mouth, and then gulp it, before the more bitter notes of the hops (or, in this case, the quinine) act on your throat. This all sounds like I am trying to learn how to be an adult, expected to “hold” their drink, to be able to drink with friends, to do this and that. However, when you don’t like the idea of being drunk, passing from the “witty” phase to the “boring, or out of control” phase, or when you don’t like the idea of being in a pub, much preferring a good restaurant, there is much less of a need to have a drink. Sure, I will have a drink now and then, but “now” and “then” are usually separated by quite a few days. In short, I don’t not drink to be anti-social, which is about as awkward as telling some people you don’t like going to the pub. Will I try gin and tonic again? The flavour of the juniper berries in the gin are somewhat overtaken by the bitterness of the quinine so, for me, the next time might be a gin and… anything else.